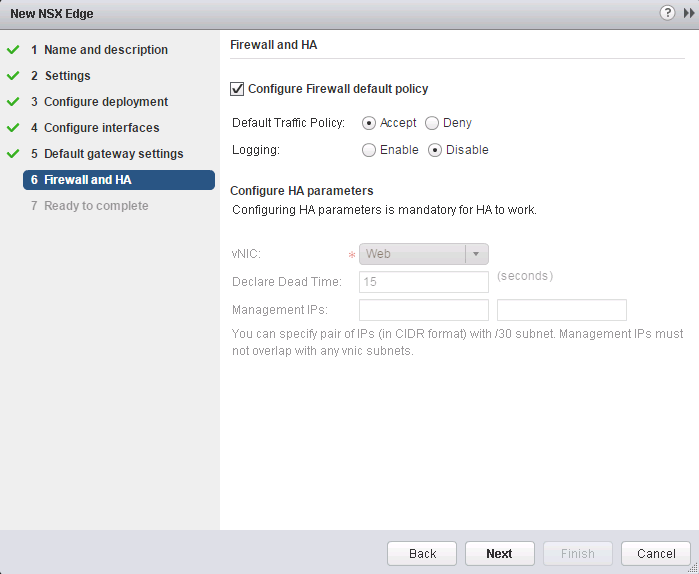 There are two types of load balancing services to configure in NSX, a One-Armed mode, otherwise known as a proxy mode, or the Inline mode, otherwise known as the transparent mode. I have defined these briefly below. 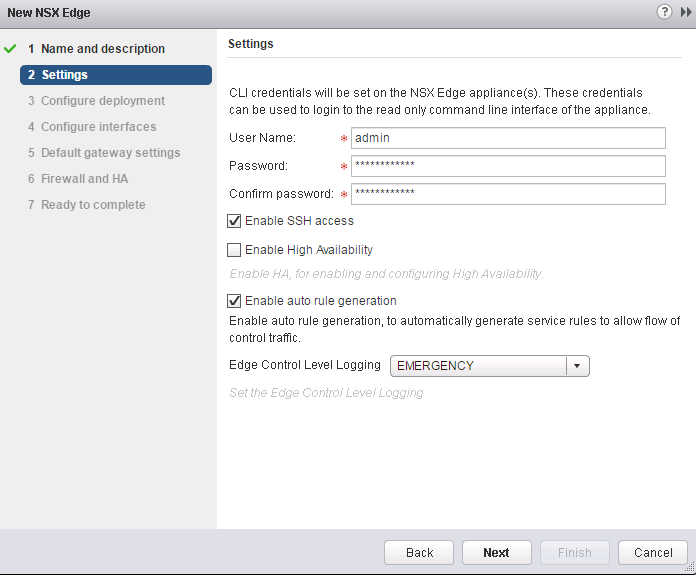 NSX supports the integration of 3rd party vendors if needed, however I believe these to be outside of the scope of this exam so I will only cover One-Armed and Inline mode. 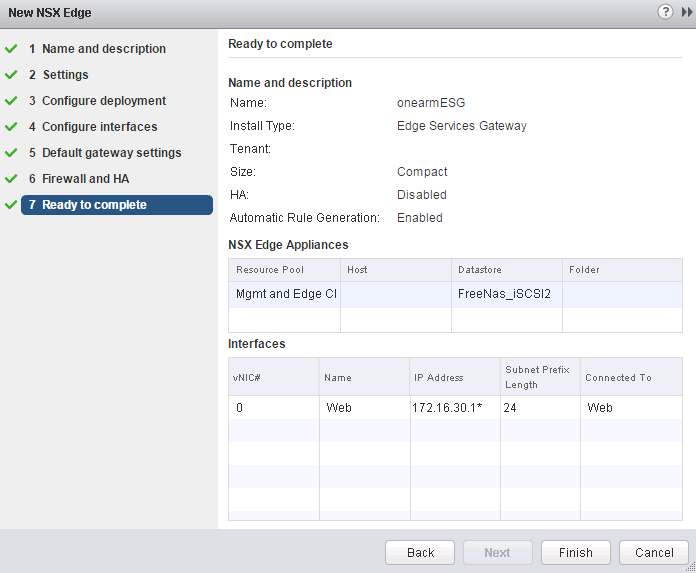 The Edge Services Gateway (ESG) is essentially a proxy for incoming client traffic. 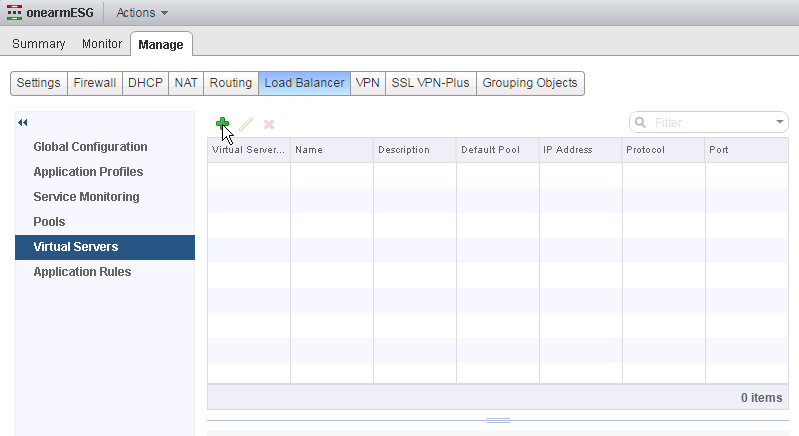 The client will sent traffic to the Virtual IP (VIP) which is provided by the load balancer. Once the ESG receives the traffic, it will perform two different operations, a DNAT or Destination Network Address Translation (DNAT) to change the VIP the IP of one of the load balanced machines, and a Source Network Address Translation (SNAT) to change the client IP address with the ESG IP. Once that is complete the ESG server sends the traffic to the load balanced server and the load balanced server sends the response back to the ESG then back to the client. This option is much easier to configure than the Inline mode, but has two potentials caveats. 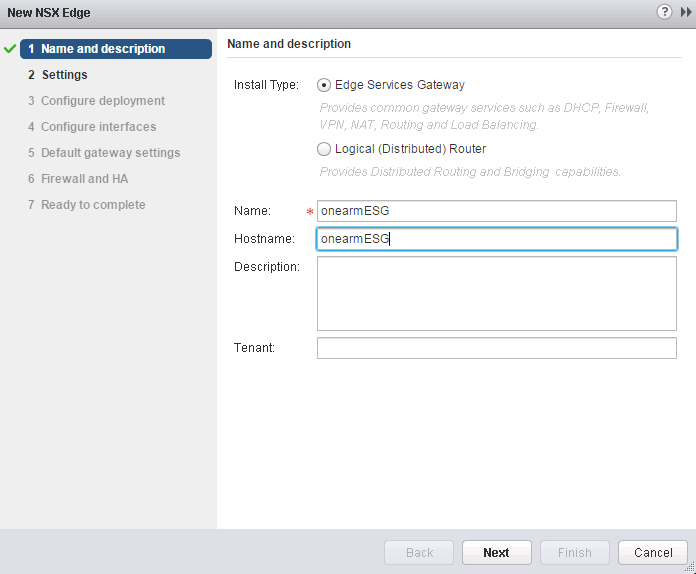 The first is that this mode requires a dedicated ESG server, and the second is that the load balancer servers are not aware of the original client IP address. 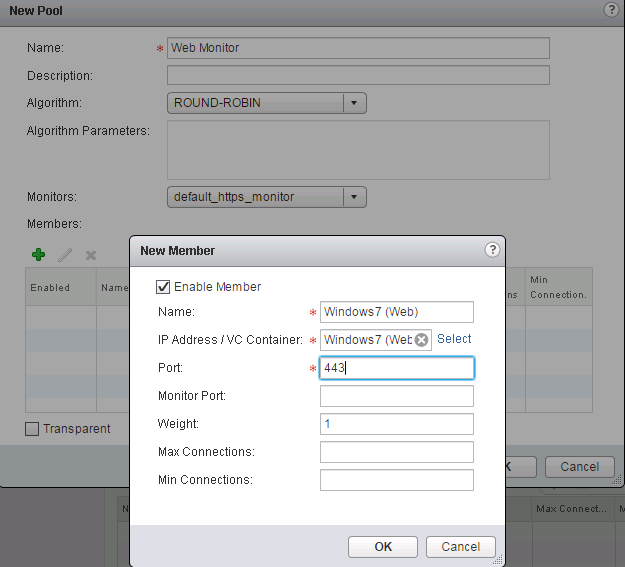 Inline / Transparent Mode – In this mode, the external client sends a request to the VIP and the ESG performs a DNAT (no SNAT on incoming traffic) to replace the VIP address with the IP address of one of the load balanced servers. 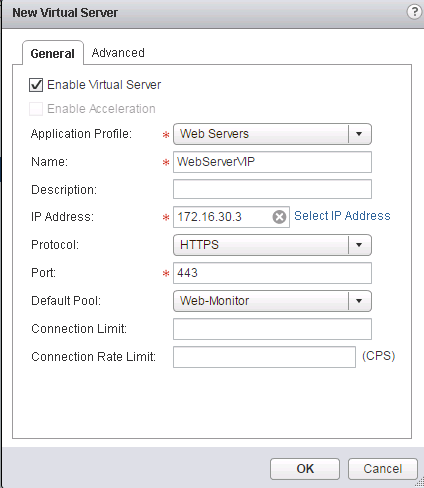 From there, the corresponding load balanced server will reply to the client IP address; Since the SNAT was not yet performed, the load balanced server is aware of the client IP address and sends it back to the ESG. The ESG must be deployed in line, typically meaning the ESG will be the default gateway of the load balanced servers. 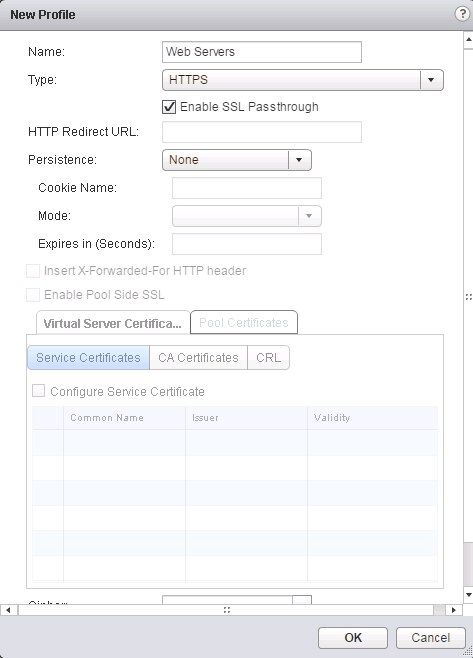 The ESG then performs the SNAT replacing the source IP with the VIP address and sends the traffic back to the external client. 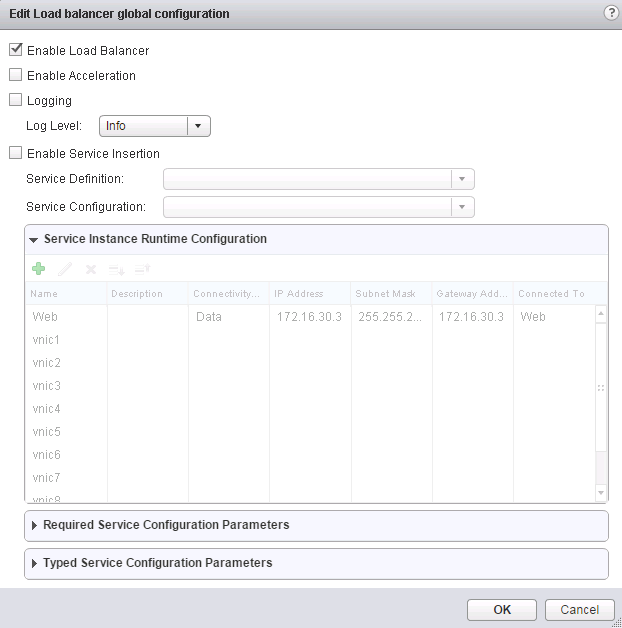 Let’s go over the steps configuration of One Arm Load Balancing. As required, I will be deploying a dedicated ESG gateway. Step 1. 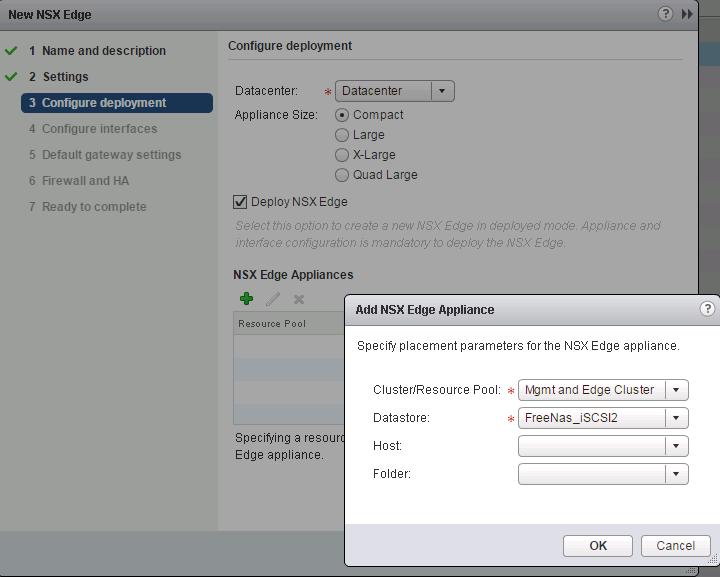 Deploy an ESG gateway by navigating to Home -> Networking & Security -> NSX Edges then click on the + sign. Step 14. Specify the Name, algorithm, and Monitor then click + to add the members. For more information on Service Monitor’s and creation, please see Create/Modify/Remove a Service Monitor. Note: If you would like to use Inline / Transparent Mode instead of One-Arm mode, you would select the Transparent checkbox here. That’s it! The ESG is now configured as a One-Arm Load balancer for both of my Web Servers. 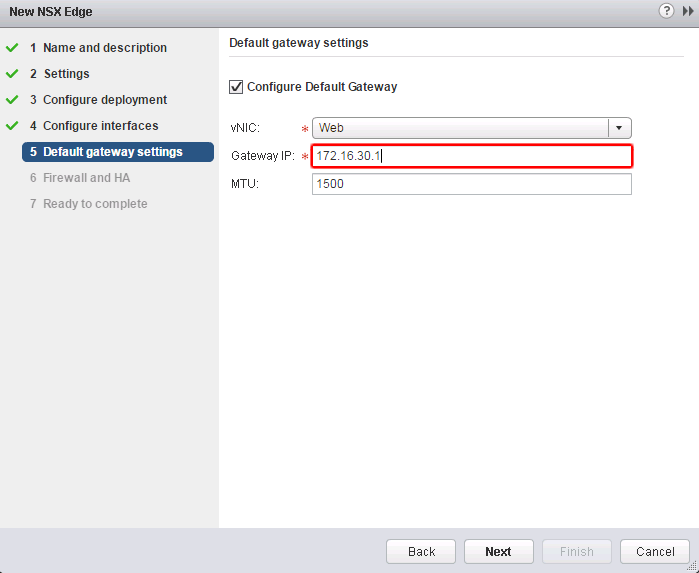 In transparent/inline mode the default G/W for the VM will be the IP Address of the NSX Edge GW. 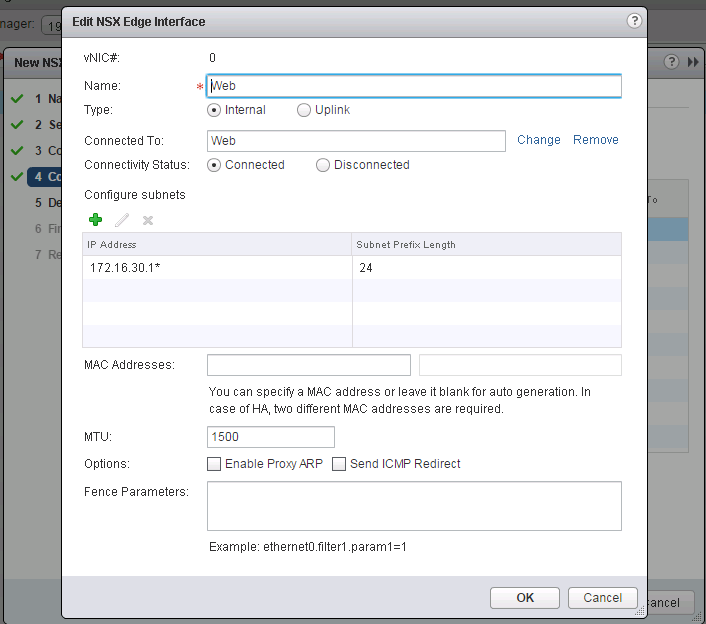 Would like to know , for the VMs which needs to be load balanced is it required to the DG as Edge GW.